Thank you for waiting, LA-MULANA 2 Original Sound Track is now available on Steam! Commemorating TGS exhibition and OST release, LA-MULANA series will be discounted for limited time. And then, we have sent OST Steam keys to eligible backers from Playism. Please check your registered email account. 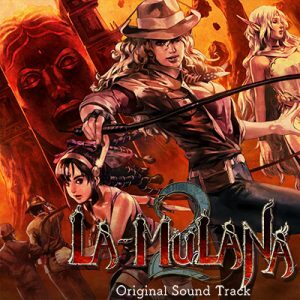 We are going to release LA-MULANA 2 OST on Bandcamp and iTunes, too. But it may take some more time. We will let you know as soon as we prepare for it. We are happy to announce those news for you during Tokyo Game Show 2018. So, see you at KONAMI booth in Hall 5, Makuhari Messe! At today’s Playism media conference, it was announced that physical release of LA-MULANA 2 for Nintendo Switch and PlayStation® 4 will be released in Japan. As the premium for the first release, the original sound track disk will be included! We have a plan to release the physical release for outside of Japan, too. Please wait for further detail since we are still working on it. 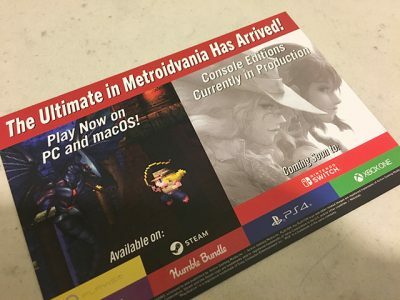 Because KONAMI is going to distribute LA-MULANA 2 physical release. We are so excited about it and that must be a good news for everyone wants to play LA-MULANA 2 on consoles! 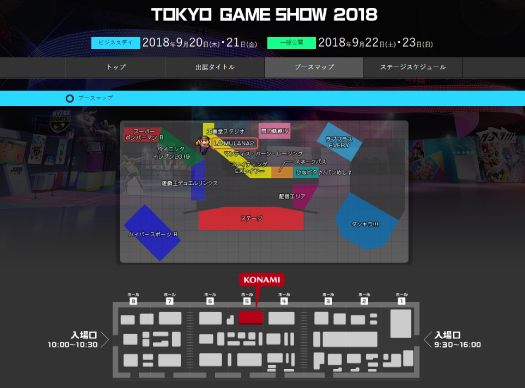 Tokyo Game Show 2018 is starting on 20th September, and LA-MULANA 2 console version will be revealed in the event! 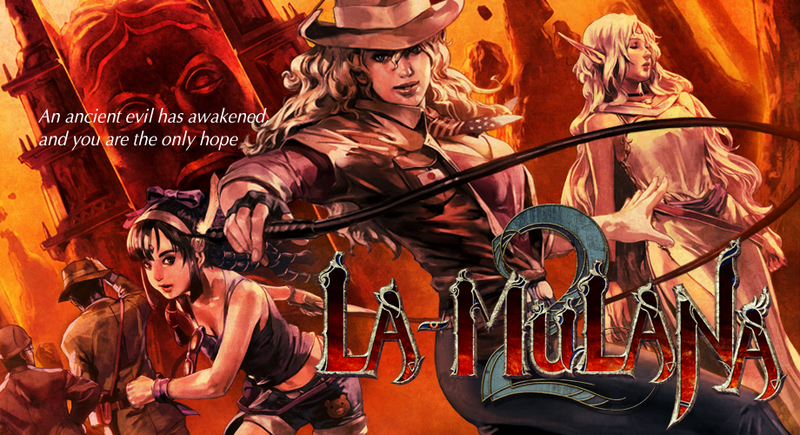 LA-MULANA 2 will be released on Nintendo Switch, PlayStation®4 and XboxOne sometime around next spring 2019. In TGS2018, PS4 version is playable at NIGORO booth, and Switch version will be displayed. It’s our first time showing console versions, so you can be a witness. And then, you can play LA-MULANA 2 at KONAMI booth in Hall 5. 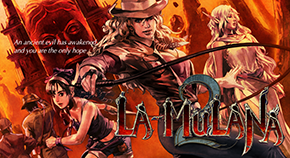 There is a stage event for LA-MULANA 2 in the KONAMI booth at 3PM on 21st September. We have a few more news to be announced during TGS2018. Finally, NIGORO’s director, Naramura will be around the booth for 4 days. We are looking forward to seeing you at Makuhari Messe! Thank you everyone coming to NIGORO booth in PAX WEST. 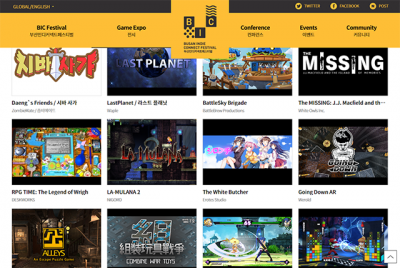 In this September, NIGORO is going to exhibit LA-MULANA 2 at some game shows around the world. Next, we are flying to South Korea and joining in Busan indie connect festival 2018 starting on 13th Sept.
We feel a little bit nervous, because it’s our first time to join South Korean game event. If you are going to come to the event, please drop by out booth. The director of NIGORO, Naramura will be there. Looking forward to seeing you at Busan! We just announced it today at Pre-PAX. LA-MUALANA 2 will be available on Nintendo Switch, PlayStation 4 and Xbox One. It will be released in Spring 2019! We will post more updates on this blog at a later date. This must be good news for those who play games mainly on consoles.